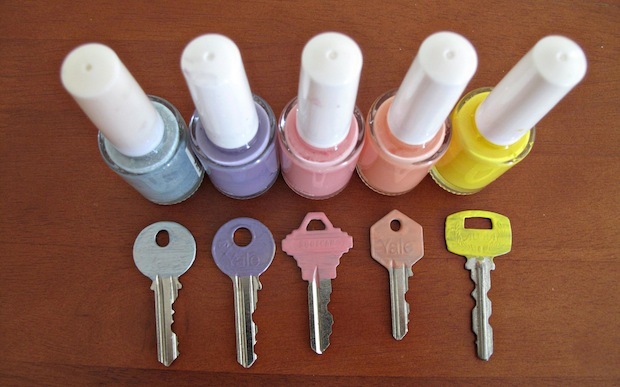 Colour code your keys...with nail polish! My office has two different locks with two almost identical keys. 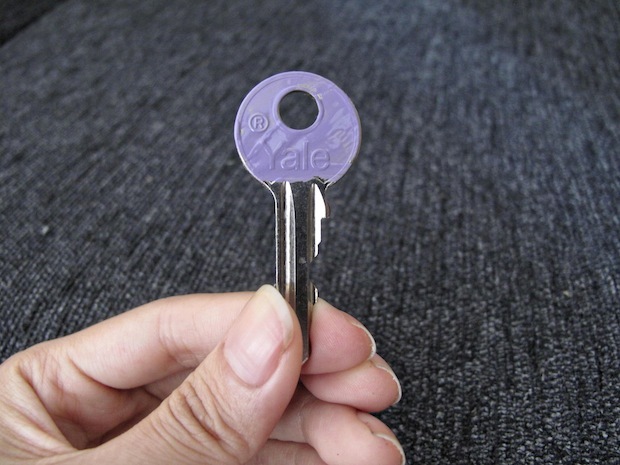 I often try to open the door with the wrong key and it frustrates me to no end. So I found a simple solution to my problem: color-code the keys by painting it with nail polish! I use inexpensive, old or streaky new polish for this purpose. 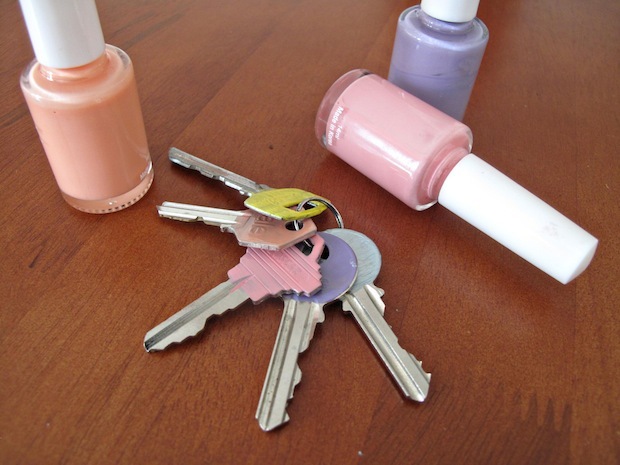 Paint the head of the key with nail polish. Do not paint the blades. Let it dry. It would take about 10 minutes. That’s it! 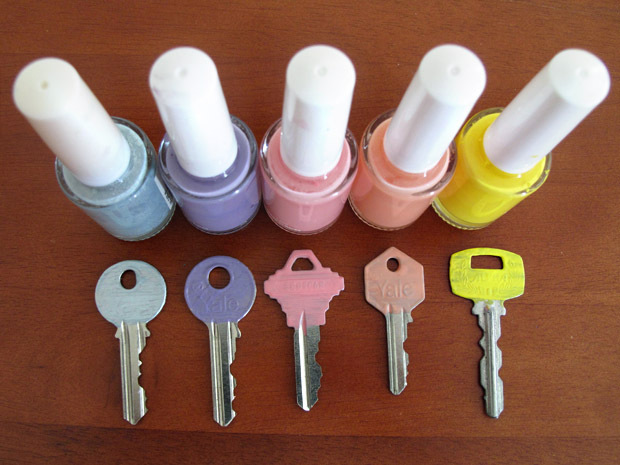 Now you have a set of colour coded keys! 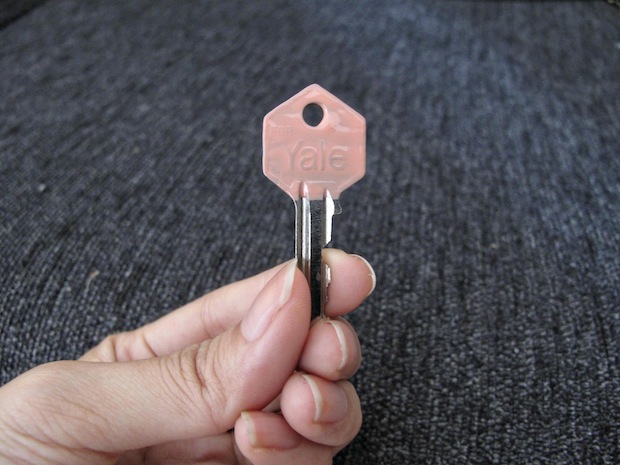 I find this simple way of painting keys extremely useful. 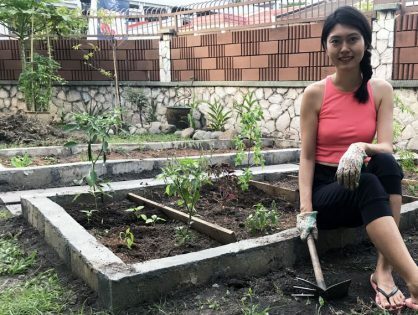 I never unlock the wrong lock and I spend less time fumbling in my huge bag because I don’t mistaken my office keys with my house keys anymore. Do you have any old nail polish lying around? 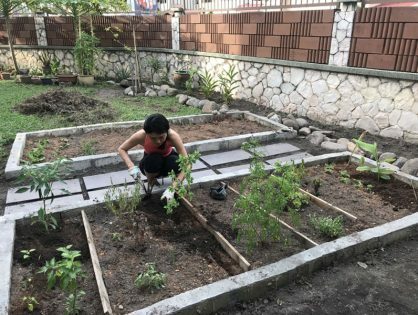 Will you try this project?